There are only a couple of restrictions for Tandem Skydiving. You must be 18 or older with a valid ID. You must weigh 250 lbs or less. You must be medically able. If you’re not sure, ask your doctor. That’s it. There is no height limit or upper age limit! 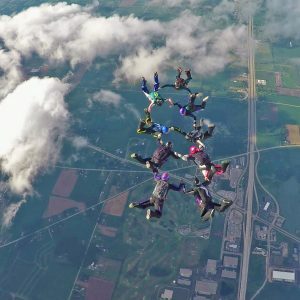 Skydiving is an activity for (almost) everyone! Even grandma can give it a try! She would not be the first! Unfortunately, skydiving is a very weather-dependent sport. Sometimes weather can be a factor in whether or not you get to jump. Extremely high winds or very low, thick cloud coverage are two of the main factors in determining if it is safe to jump. We apologize for any delays and inconvenience this may cause, but we insist on putting the safety of our patrons and instructors first. We always recommend coming out for your appointment, even if the forecast doesn’t look great. If we cancelled skydiving every time the weather man made a negative prediction, we would never get to jump. Weather can change and clear pretty rapidly. If you don’t come out, you have a 100% chance of not jumping. If you decide not to come to your appointment due to a weather forecast (or any other reason) we require 48 hours notice. Our entire office staff, instructors and pilot plan to show up for your appointment rain or shine. We are prepared to get your waiver filled out, teach your ground school and jump when the weather clears. If you do come to your appointment, our entire staff will wait with you, as long as it takes for the weather to clear or until 1 hour prior to sunset; whichever comes first. Out of respect for the time of our staff, we ask that you give us as much notice as possible if you do not plan to come to your appointment. A no call, no show or last minute cancellation will result in forfeiting your $50 deposit or a $50 re-booking fee if no deposit was made. If you have more questions, be sure to check out our Frequently Asked Questions page. 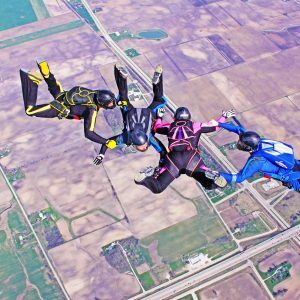 Skydive Midwest offers several excellent video and picture options for taking your experience home! Remember, if it isn’t on Facebook, it didn’t happen! 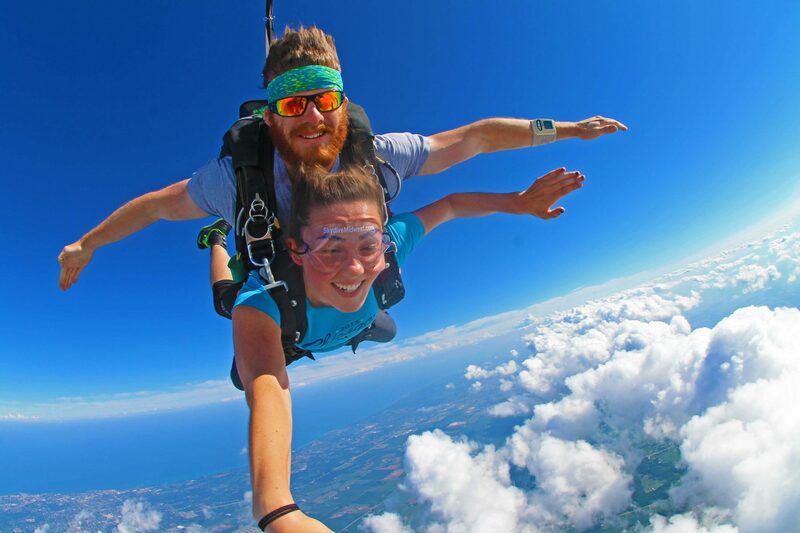 We do our best to make sure you can take home your experience the same day you come jump! Edited on site and delivered to you electronically the same day as your jump! This is our most cost effective option. 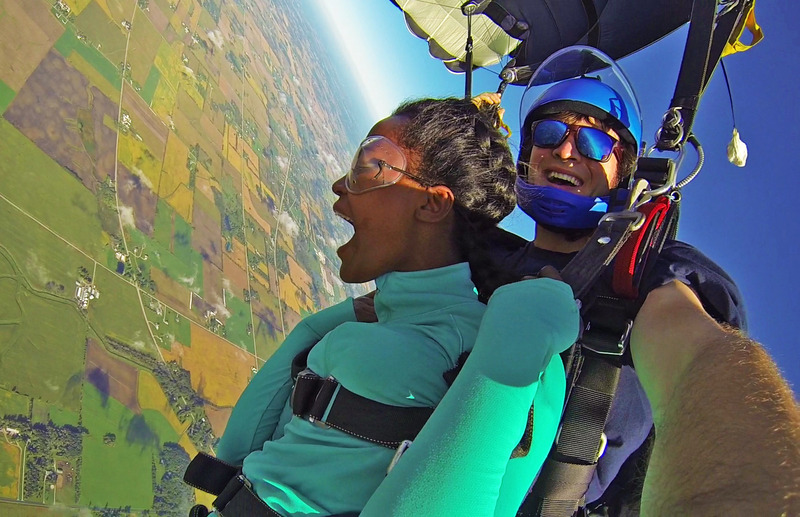 Your tandem instructor will wear a hand-mounted video camera to capture close up video of every moment! This option includes video only but is the best way to capture under-canopy footage! Your video will be edited to music and delivered electronically the same day as your jump! Purchase HERE for $95 + Tax. This package is the BEST value. It includes both video and high resolution photos. 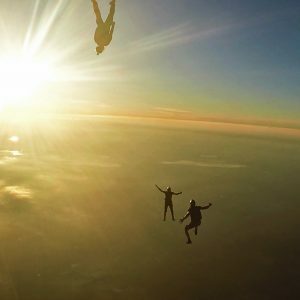 A professional aerial photographer will accompany you on your skydive to capture a 360 degree view of your jump!Your video will be edited to music and 50-100 digital photos will be delivered to you electronically the same day as your jump! Purchase HERE for $120 + tax. This package combines the Handcam option with the Premium Video & Picture Option. If you want it all: video, pictures, close-ups, 360 aerial footage and under canopy footage- this option is for you! 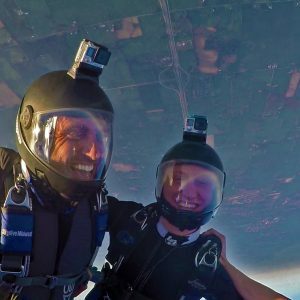 Your tandem instructor will wear a hand-mounted camera and a professional aerial photographer will accompany you to capture every breathtaking moment. Your video will be edited to music and 50-100 digital photos will be delivered to you electronically the same day as your jump! Purchase HERE for $180 + tax. 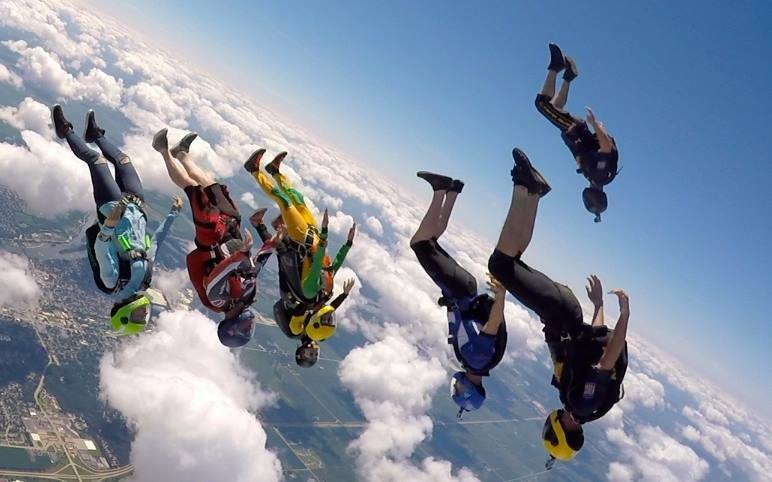 Learning to skydive solo in our AFF or Tandem Progression Program? We have a video & picture option for you too! An experienced aerial photographer can accompany you on your training jumps. However, they will be careful not to distract or hinder learning so you get the most out of your jump while still capturing the experience. Purchase HERE for $120 + tax. Life should be more than just going to work and paying bills. It’s about adventure, experiences and sharing those things with the people you love. 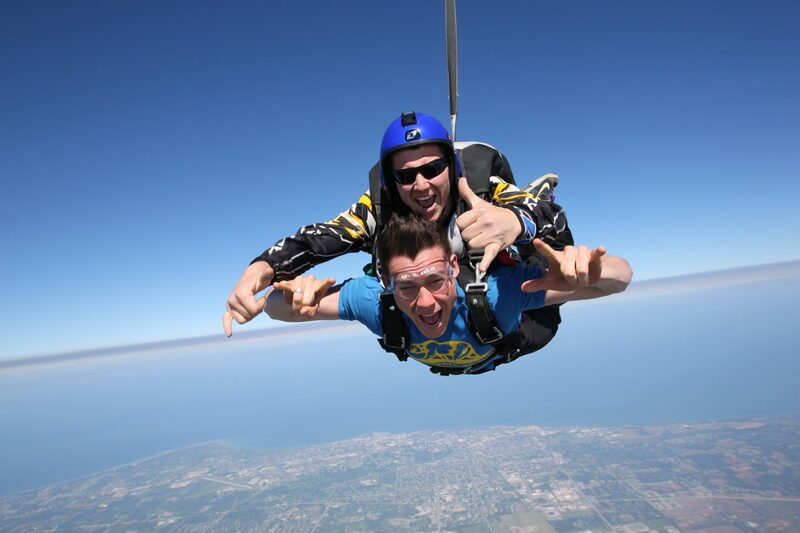 Skydiving is an experience unlike any other, and we welcome you to join us at Skydive Midwest! Fly high over beautiful Lake Michigan, heart pounding, waiting for the aircraft door to open. 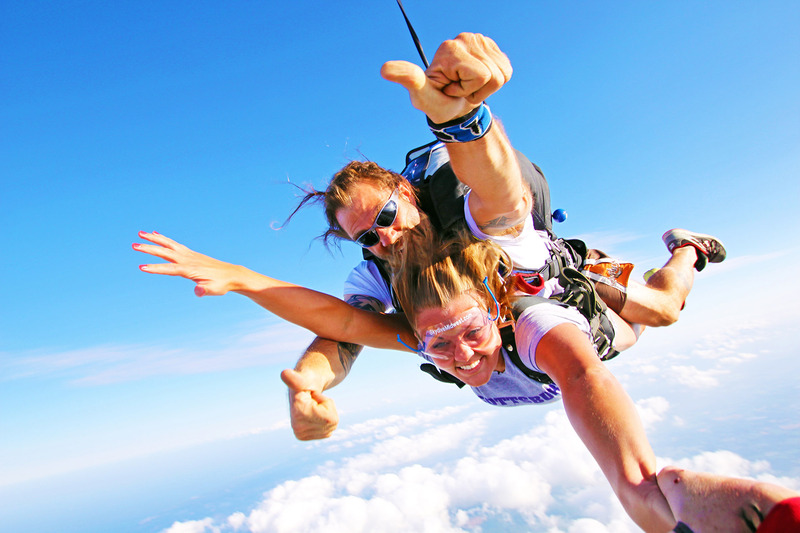 Experience the rush of freefall at speeds over 120mph! Float under canopy with views of beautiful Lake Michigan spanning between the city skylines of both Chicago and Milwaukee. Our experienced instructors will show you the thrill of a lifetime! We’re Passionate about skydiving. From our pilot to our tandem instructors and videographers- we absolutely LOVE what we do! We couldn’t me more excited to introduce you to this amazing sport. Our Location couldn’t be more convenient. Whether you live in Chicago, Milwaukee or any city in between- Not only is the drive a breeze but we also have the most incredible views you will ever see. Safety is our priority. 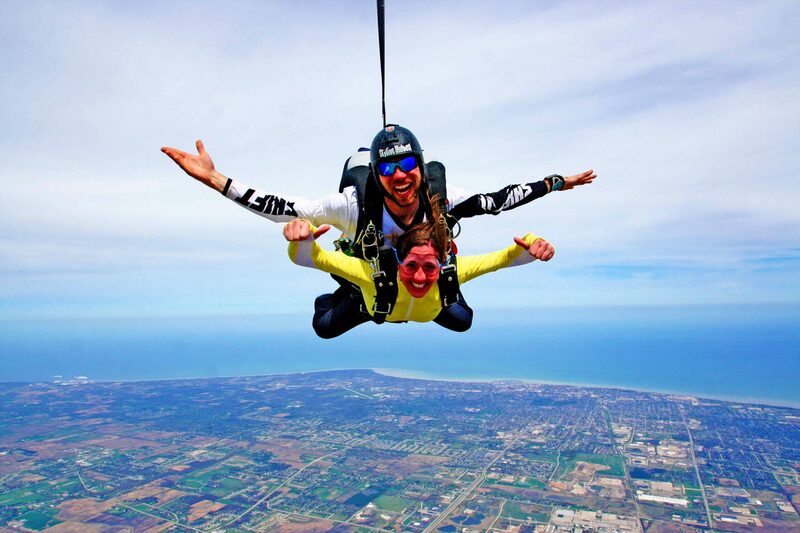 We have an impeccable safety record when it comes to tandem skydiving! 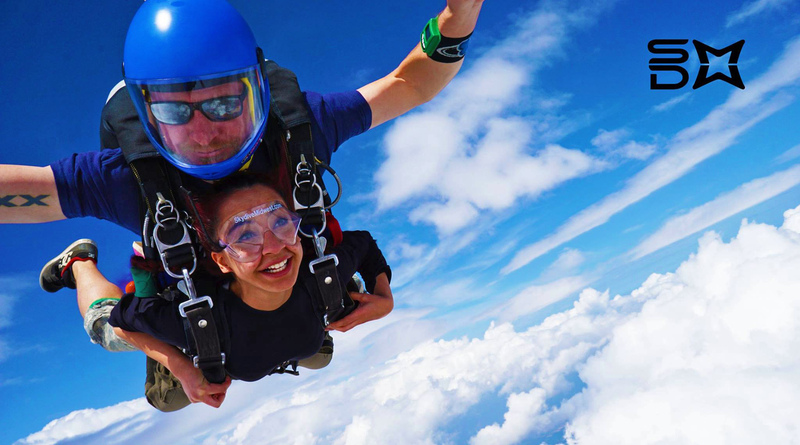 While skydiving by nature is inherently dangerous we take every precaution to minimize the risks involved. We hire experienced and talented instructors. We jump new and well-maintained equipment crafted by the most reputable manufacturers. Our pilots are experienced and our aircraft are well-maintained to all Federal Aviation Administration and manufacturer specifications. We also have industry leaders and specialists conduct training seminars annually for our instructors. We are proud members of the United States Parachute Association and we adhere to all tandem safety standards set by the organization. Our Staff is incredible. We absolutely LOVE our staff and we know you will too! 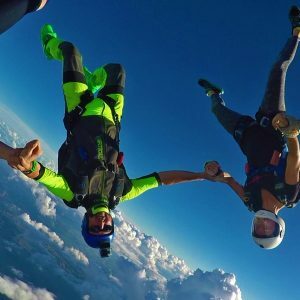 From the office personnel who help you book your skydive and answer your questions to the Instructor and Videographer who share your first skydive with you. 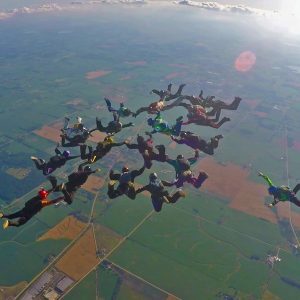 We hire passionate, experienced and enthusiastic people to be part of the Skydive Midwest team and it makes all the difference in your experience. Our Community is something special. 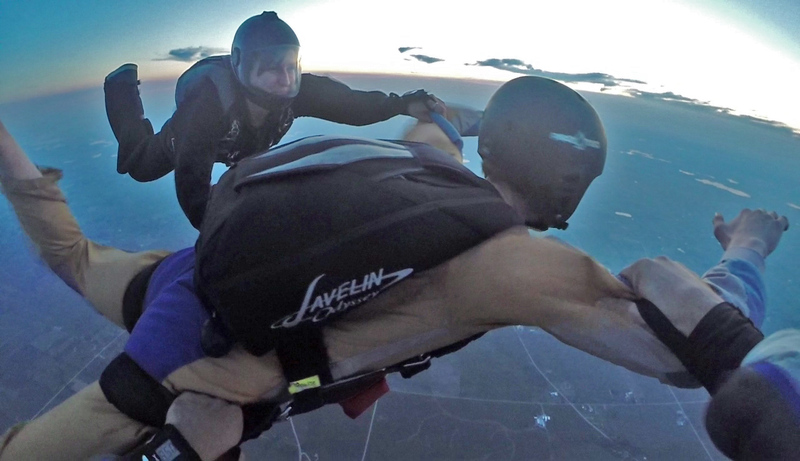 Skydiving is about more than jumping out of airplanes and more than just a ‘job’. 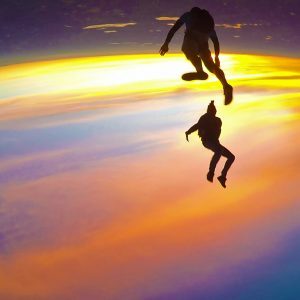 As skydivers, we choose to surround ourselves with people who truly enjoy life and believe in making the most of every single day. 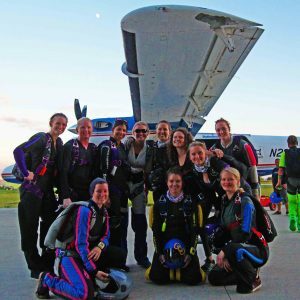 From our staff, to fun jumpers, to tandem and AFF/ATP students- skydiving tends to draw people who are passionate about life. If you spend enough time at our dropzone you’ll find folks who really enjoy one another’s company and feel bonded by the freedom of flight. Our Prices can’t be beat! 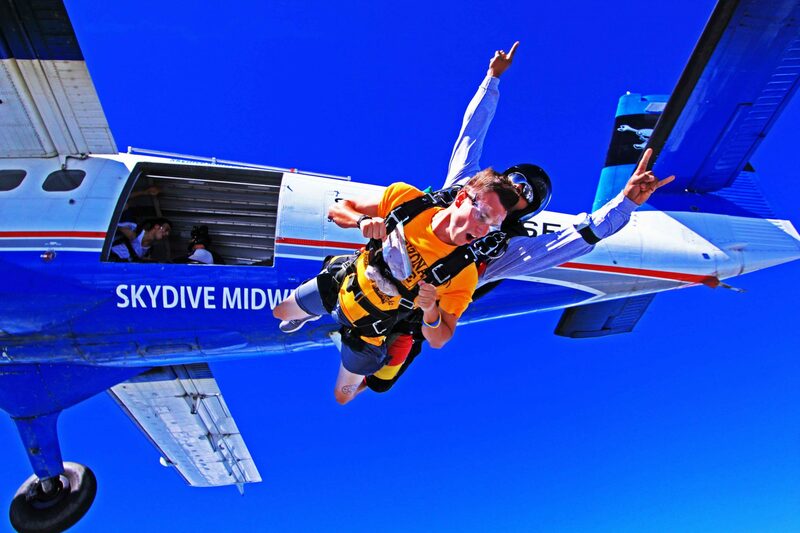 We really want you to skydive and we try to make our prices competitive to make skydiving easier and more affordable. 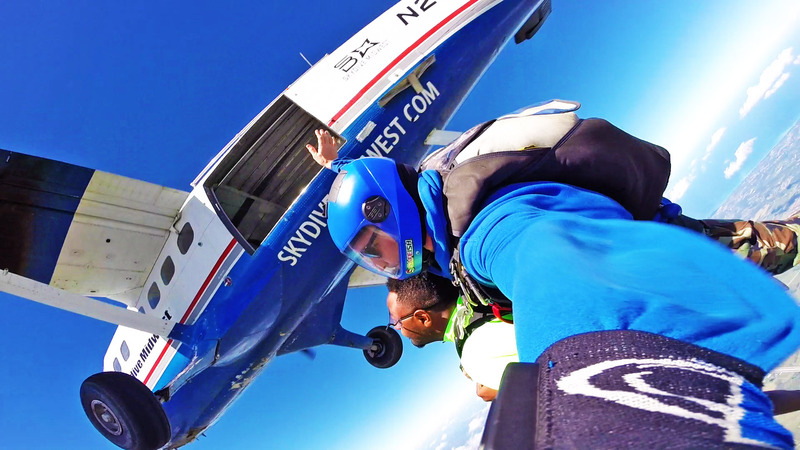 Of the few turbine aircraft skydiving centers taking you to the maximum allowed altitude, you really can’t get a better deal than with SDMW. We even offer special rates for birthdays, military, college students, holidays and more! 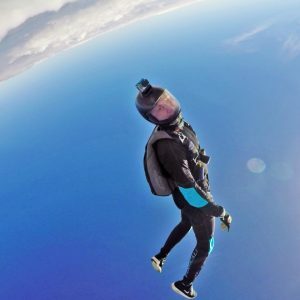 Learning to skydive is easier than you think! 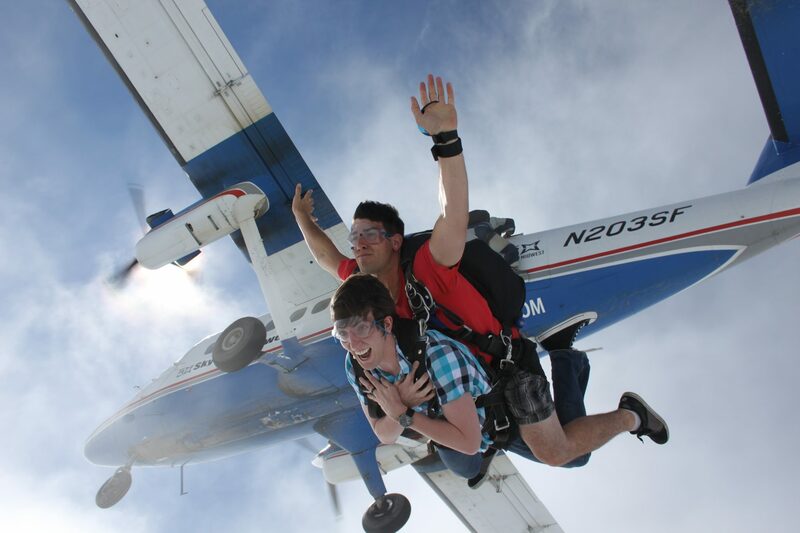 One of the best ways to experience skydiving for the first time is by doing a Tandem Jump. 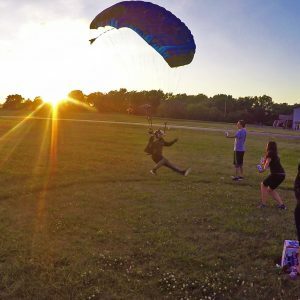 After a brief training class you will be partnered with an experienced instructor who holds a tandem rating with the United States Parachute Association. Your instructor will be with you every step of the way. Get geared up, board the aircraft with your instructor, follow their simple instructions and let them take care of the rest! 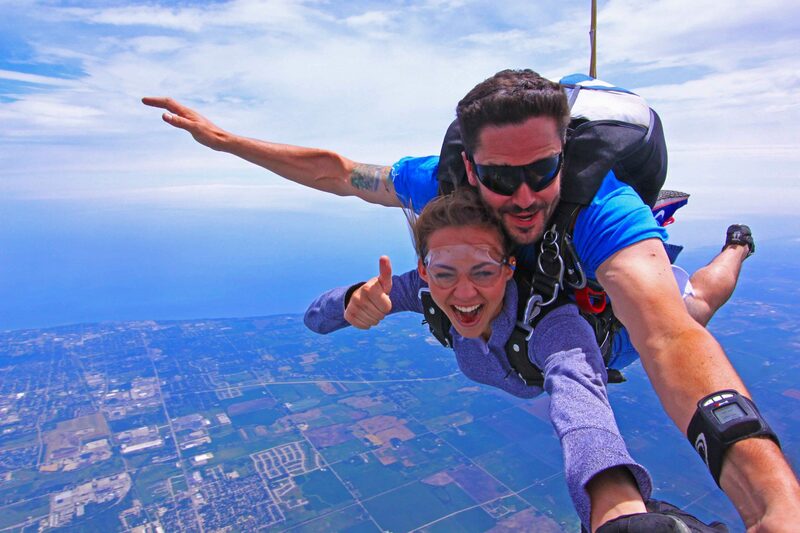 Experience free fall and take in the city skylines of Chicago and Milwaukee while floating under canopy. This experience is truly once in a lifetime. Unless of course, you want to do it again! 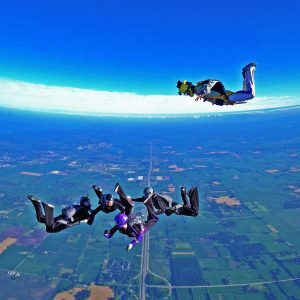 Becoming a licensed skydiver sounds like an crazy and extreme thing to do but it’s actually quite simple! 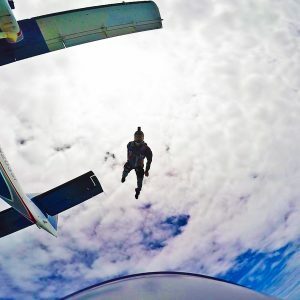 The USPA (United States Parachute Association) offers 2 very structured and successful training methods for becoming licensed. ATP (Accelerated Tandem Progression) and AFF (Accelerated Free Fall). 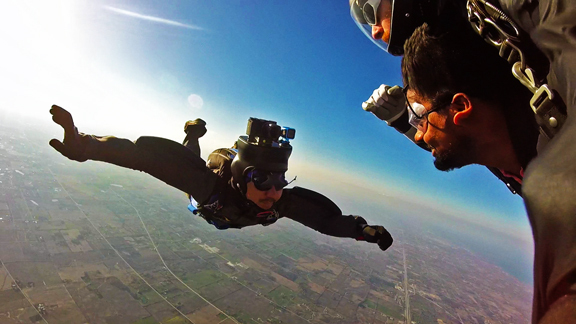 Both programs put you on a path to becoming a licensed skydiver in as few as 25 jumps! 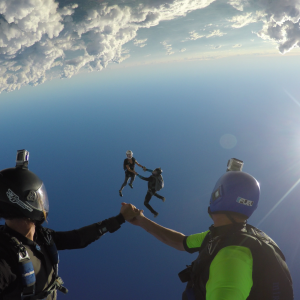 Once you become a licensed skydiver you can jump almost anywhere in the world! For more information on becoming licensed and going solo CLICK HERE! We are located only 60 miles North of Chicago and 30 miles south of Milwaukee. It’s less than an hour drive from Chicago straight up I-94. US 41S/I94E via exit 1B (toward I43S Chicago; take Hwy 20 exit (#333); right on Hwy 20 W/ Washington Ave; left on S. Sylvania Ave (at the Culver’s); left to stay on S. Sylvania (DO NOT enter the industrial park, turn left before entering), road should curve to the right and you should be running parallel to I-94. Turn right on 56th Rd. Skydive Midwest is located on your left. 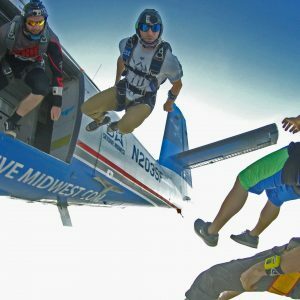 Getting to Skydive Midwest could not be easier. You can get here by Amtrak, Bus or METRA! 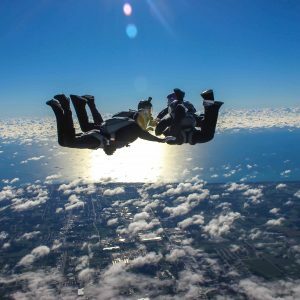 We are not only the closest skydiving center to Chicago, but the only skydiving center to have public transportation and a FREE shuttle service available. If you are planning to take public transportation please advise our customer service agent at the time you make your reservation. This will ensure we have our shuttle waiting for your arrival at the appropriate station! Free shuttle service, must call ahead to book. Shuttle consists of dropzone van and can accommodate up to 6 guests. Dress appropriately and bring something to keep you occupied if there is bad weather (book, IPAD, etc.). Recommended not to purchase return ticket until you arrive back at train station (departure times may vary based on weather conditions). Available to military at Great Lakes Naval Station only, free of charge.